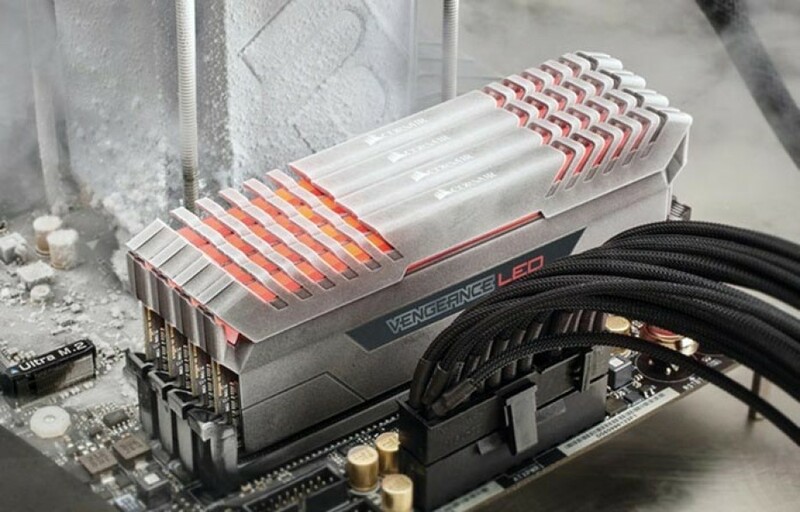 The new memory has been designed for Intel-based systems on the X99 and 100 Series chipsets and offers blazing performance thanks to its clock speeds – the entire Vengeance LED DDR4 line includes memory modules that run at 2667 – 4333 MHz. The memory uses 10-layer PCBs and aluminum heat spreaders to take heat away, while the support for XMP 2.0 assures excellent performance. In fact Corsair believes the Vengeance LED DDR4 to be the company’s finest memory in more than 20 years of making computer memory. The Vengeance LED DDR4 is available in capacities of 8 GB and 16 GB. These memory modules can then be combined in kits of 16 GB, 32 GB and 64 GB. The memory needs 1.2V for the 2667 MHz memory modules with all others running at 1.35V. The Vengeance LED DDR4 will be on the market soon but its price will be announced later.